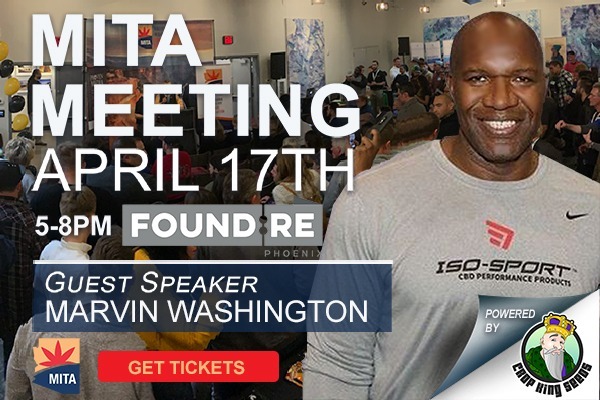 MITA AZ is excited to announce that we will continue hosting our monthly meetings at the FOUND:RE Hotel on Central, which is close to the State capital in downtown Phoenix, at the heart of the city. We encourage you to invite new faces to come out and experience what we have created together. With raffle prizes, drink tickets, goodie bags and more, we are preparing for another exciting year. Every part of the FOUND:RE Hotel in Phoenix is designed for inspired ideas. No matter where you are in the hotel, you’ll be surrounded by top-notch, local artwork, a staff hell-bent on making you happy, food and drinks from MATCH Restaurant & Cocktails, and a commitment to creativity and quality that redefines expectations. Happy Hour at Match Restaurant & Lounge from 3pm-7pm with pre-MITA meeting dinner reservations available. Call the restaurant directly at 602-875-8080. MITA is the Voice and Chamber of Commerce of the Arizona Marijuana Industry. Our mission is to help Arizona’s marijuana industry businesses stay informed, network, and thrive. MITA works directly with members and policy makers to ensure that Arizona’s program is fair, tightly regulated, and successful. Interested in participating as a sponsor, member, and/or volunteer: Contact us.